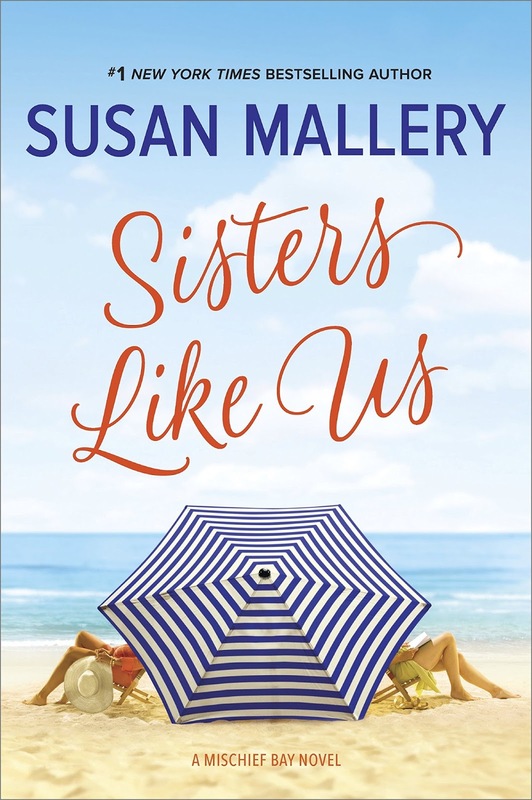 Susan Mallery takes readers back to Mischief Bay for her new women’s fiction novel featuring sisters Harper Szymanski and Stacey Bloom. When Harper divorced her cheating husband after sixteen years of marriage, she was left to find a way to pay the bills with only two semesters of community college and the skills she had developed as a supportive wife, stay-at-home mom, and crafty homemaker. An article in a local newspaper gives her the idea for Harper Helps, her virtual assistant business. After two years, her business is growing, but she still needs the rent money her mother pays for the garage apartment to make ends meet. Between the demands of her clients, a critical, widowed mother stuck in the 50s with her view of women as servants to the men in their lives, her sixteen-year-old daughter Becca who has stopped communicating with her, and her own perfectionism, Harper is stressed to the breaking point. Frequent visits from Lucas Wheeler, an LAPD detective and one of her five regular clients, provide light relief and some sparks, despite his penchant for much-younger women, a flaw he shares with her ex. Harper and Stacey enjoy a close relationship, but they are very different women. Harper has always been the conventional daughter, living her life according to her mother’s ideas, at least until her divorce. Stacey is the rebel. Far from being a people pleaser like her sister, she has marched to the beat of her own drum. She works as a biotechnologist in medical research, wears hiking boots instead of heels, and waited until her late thirties to marry. Despite her rebellion, she dreads open conflict with her mother. Pregnant for the first time at forty and plagued with doubts about her ability to be a good mother, she has delayed telling her mother about her pregnancy for six months. Clearly, she cannot avoid sharing her news much longer. Meanwhile she throws herself into preparing to welcome her husband Kit’s nephew, eighteen-year-old Ashton, into their family while he completes the requirements for high school graduation before entering MIT in the fall. It is easier for her to imagine being a nurturing aunt to Ashton than to see herself as a successful mother to an infant. Technically women’s fiction, Sisters Like Us is actually a hybrid of women’s fiction and romance. Harper and Stacey’s relationship with one another and with their mother is central to the novel, but their relationships with the men in their lives gets equal attention. Mallery fans know that this author has created some heroes with a high jerk quotient, but she outdoes herself with the males in this one, creating three men of different ages, all guaranteed to win hearts. Fans of the Mischief Bay books will recognize Lucas Wheeler, the fiftyish bachelor cop, from A Million Little Things. Carrying some heavy baggage from his youth, Lucas is terrified of the kind of commitment a relationship with Harper will require, but he is so worth waiting for. He sees Harper for who she is, the good and the bad, and falls for the woman he sees. And he is great with Becca, taking on much of the dad stuff that her own father seems incapable of providing. Kit, Stacey’s high-school-science-teacher husband is a dream of a beta--fathoms deep in love with his wife, totally supportive of her, and eager to be a stay-at-home dad. I adored him. Ashton, mature beyond his years, is exactly what young Becca needs, and their relationship is a sweet bonus to the two main romantic relationships. Harper and Stacey are flawed but likable, and I was happy to see that they liked and supported one another despite their differences. I’m guessing that readers’ patience with Harper’s difficulty in standing up for herself will vary depending upon how much of the people pleaser they are willing to recognize in themselves. I found it harder to understand Stacey’s continued delay in telling her mother about the pregnancy, but Bunny is a daughter’s nightmare. She will make any reader with an iota of feminism cringe. I think she is the weakness in an otherwise excellent novel. Until near the end, she seemed more caricature than character to me. Overall, this is another of Mallery’s addictive Mischief Bay books rich in emotional context with nice touches of humor and characters readers should find interesting and engaging. 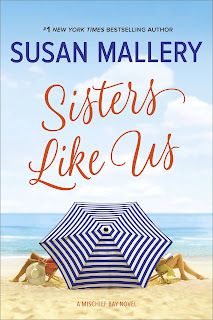 If you like novels that balance family dynamics with romance and do a stellar job with both, I recommend you include Sisters Like Us on your January TBR list. I’m adding it to my huge collection of Susan Mallery keepers. This is such a great series and I'm looking forward to having a nice day to just sit and read. Great review, PJ! I love this series. I can't wait to read the next book in this series. Love your review.